TrueLipids - Struggling with Sensitive Skin? For those who have sensitive skin, I'd love to hear your stories! I have been living with eczema since I was young and throughout my life I have been exposed to numerous skin treatments. Topical ointments, steroids, UV light treatments, herbal wraps, etc. It has been a struggle but with time, I was able to better manage things and apply treatments that work. I'm always on the look out for new things on the market, especially now as medical advances are more readily available compared to decades ago. 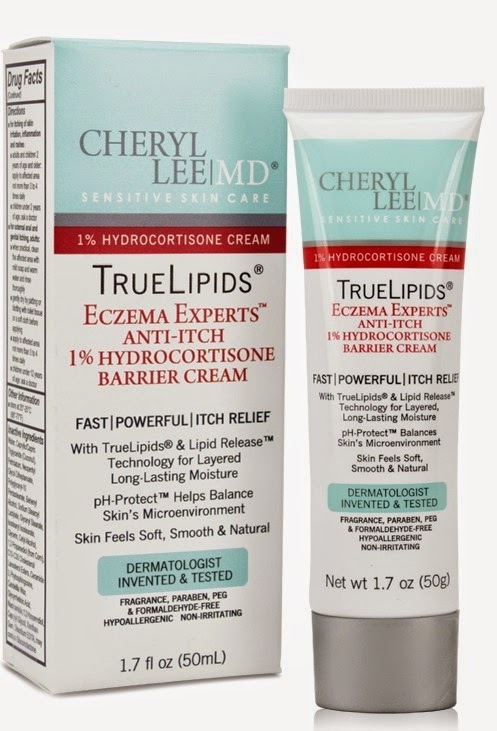 I was recently was introduced to TrueLipids, an ointment from Cheryl Lee MD. They offer quite a few products for those with skin issues. I'm hopeful to see how this product works for me. If you're interested in trying this for yourself, join me! Click HERE for a special offer from Cheryl Lee MD and receive $15 off plus free shipping on a product of your choice. Send me a message on our Facebook page confirming you've submitted the above entries with your name/contact info and a winner will be randomly chosen in one week (April 29th). Good luck!